Two robbers who posed as car buyers left a man with a broken leg before fleeing in his vehicle. Police said two men travelled to a property in Fern Mead, Cranleigh, to view a car which had been advertised for sale online. The owner was attacked as he showed the pair around the 2011 model black BMW X5 on Tuesday evening (June 12). Officers said he was left with a broken leg, bruising and swelling. The attackers then fled the scene in the 4x4. One of the suspects is described as an Asian man in his early twenties, of a slim build, around 5ft 10 inches tall with brown slicked-over hair. He is believed to have been wearing brown chino-style trousers and a blue jacket. 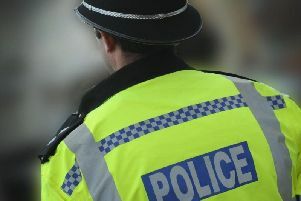 The second suspect is believed to be an Asian man in his mid to late twenties, around 5ft 6 inches tall with brown hair and of a larger build. He’s thought have been wearing glasses. Detective Constable Lawrence Burden, from Surrey Police CID, said: “If you were driving in the area, particularly around the Ewhurst Road or High Street area of Cranleigh shortly after 6pm last night, we urge you to check dashcam footage. Similarly, if you live in the Fern Mead area and have CCTV cameras, please review any recordings you may have. Anyone with any information is asked to contact Surrey Police on 101, quoting PR/45180061794. Alternatively, a report can be submitted online via the Surrey Police website or you can call the independent charity Crimestoppers on 0800 555 111.